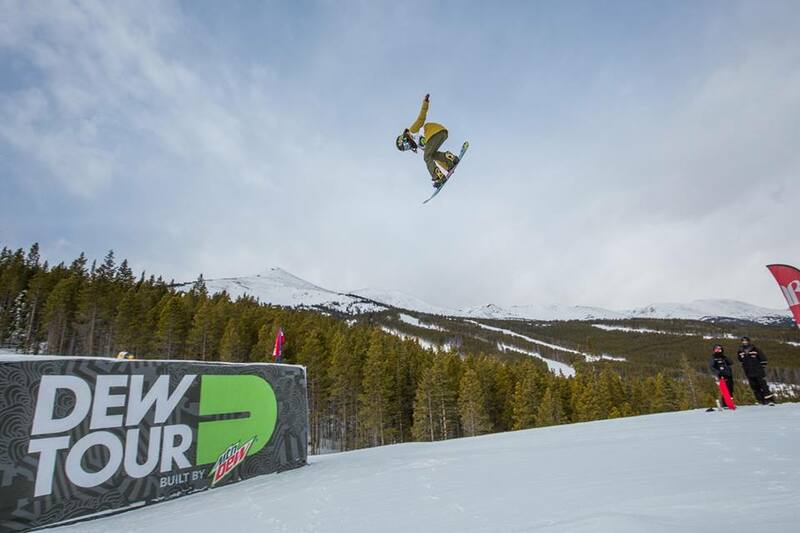 The Winter Dew Tour Returns to Breckenridge Ski Resort for its 10th year from December 14-17 at. For a second consecutive year, the event will serve as an Olympic qualification event for the men’s and women’s halfpipe and slopestyle snowboarding and freeskiing competitions, where the world’s top athletes will compete for spots to represent the United States at the 23rd Olympic Winter Games in Pyeongchang, South Korea in 2018. The Dew Tour will also host its unique Team Challenge, a men’s and women’s World Para Snowboard (WPSB) sanctioned Nor Am para snowboarding competition presented by Toyota, the popular Streetstyle competitions, as well as a stacked calendar of activities at the Dew Tour Apres Festival in downtown Breckenridge, including a concert headlined by The Floozies, art exhibitions and much more. The Winter Dew Tour is free* and open to the public (excluding concert & VIP tickets). Visit DewTour.com for the complete schedule of events, a complete roster of athletes and more information.